We had stayed the night in a Sosta for EUR5 / 24 hours. 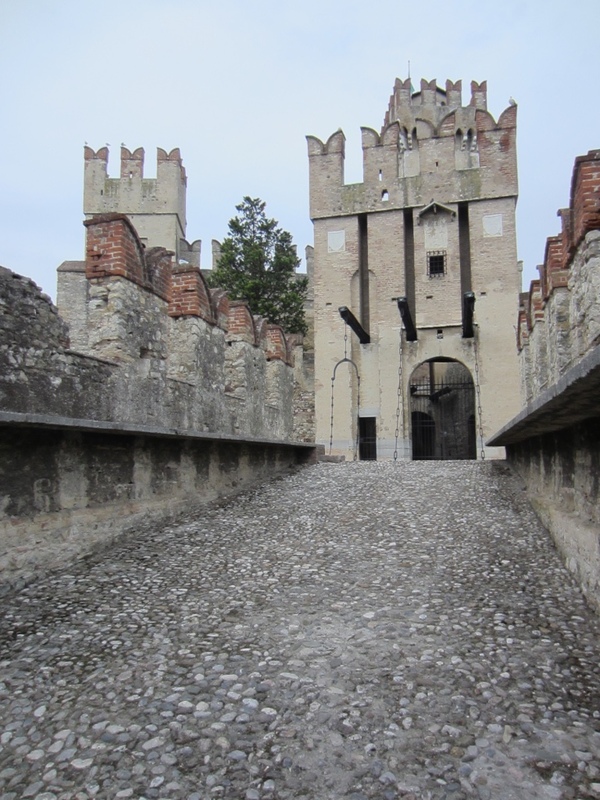 It was gated, fenced and under CCTV but right at the end of the motorway in Trento, however we had both slept well … must have been the gentle drone of traffic, or was it J’s heavy breathing? The only problem was getting out … on foot. We had to jay walk a fairly busy roundabout as there were no footpaths. 10 mins and we were in the old town. 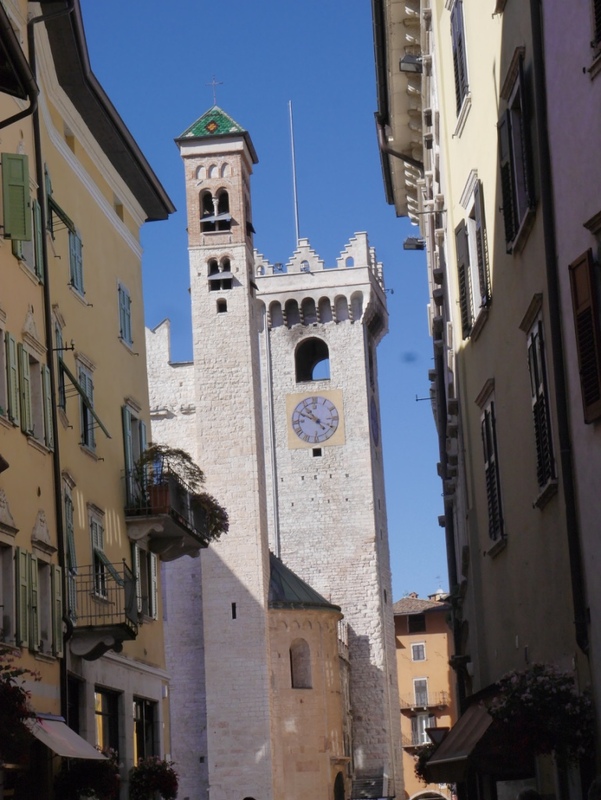 Trento’s main claim to fame was that the Council of Trent met here 1545-63 to consider Catholic reforms that would entice protestants back to the fold. Very attractive architecture with English signboards and smart shops. 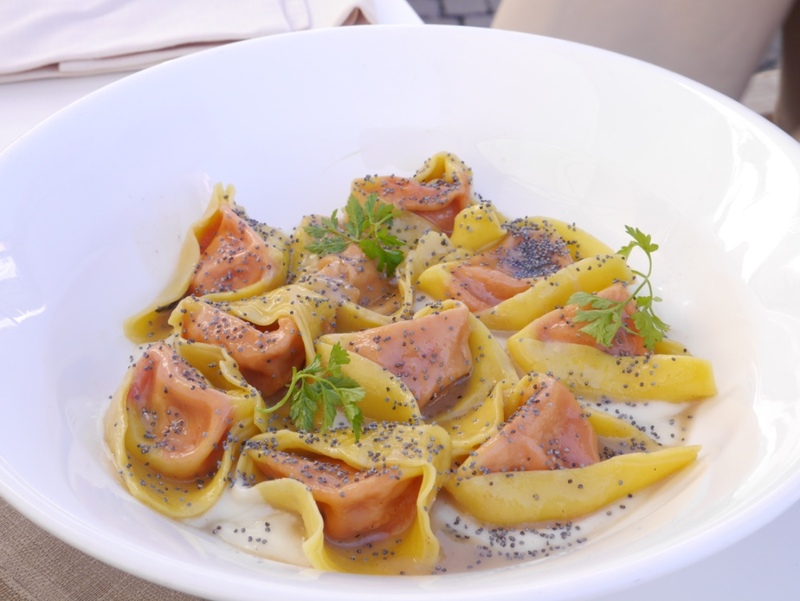 Also smart restaurants …. 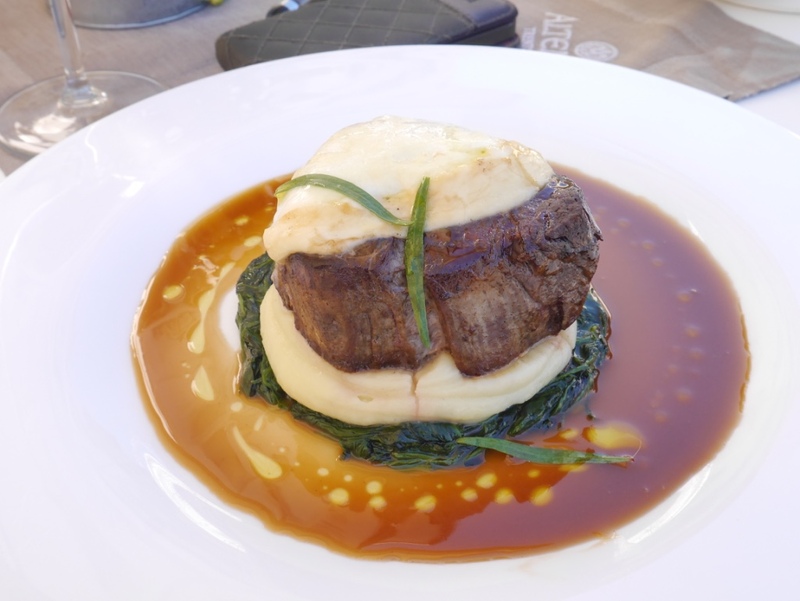 we did an around me on TripAdvisor and look what we had …. 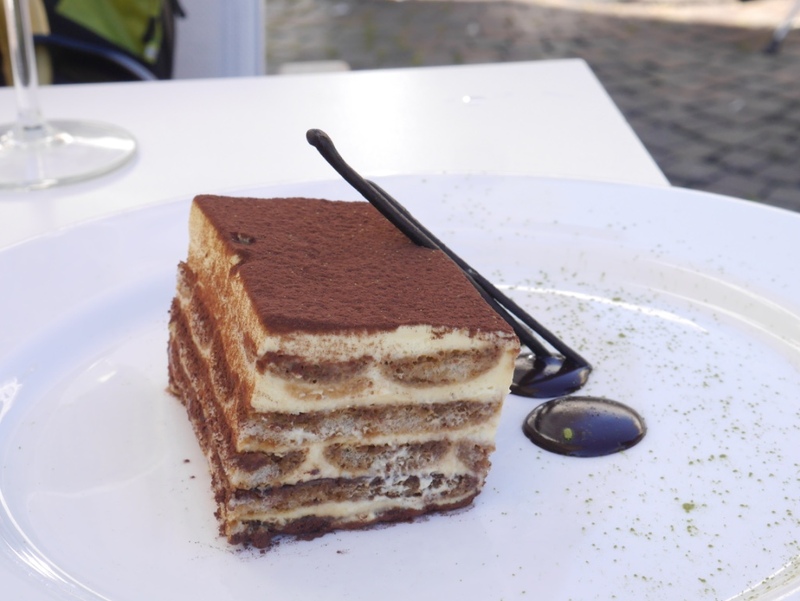 It was the lightest Tiramasu ever and J raised a glass to Sylvie! We were inspired by another motorhomer …. he used the sosta facilities to briefly wash down the sides of his motorhome. We spent about 1.5 hours doing it properly: The ladder came out and J went up on the roof. Chardonnay badly needed a good clean as she had not been done since June when the Bakers cleaned her. We had lunch at the sosta before setting off for Lake Garda. 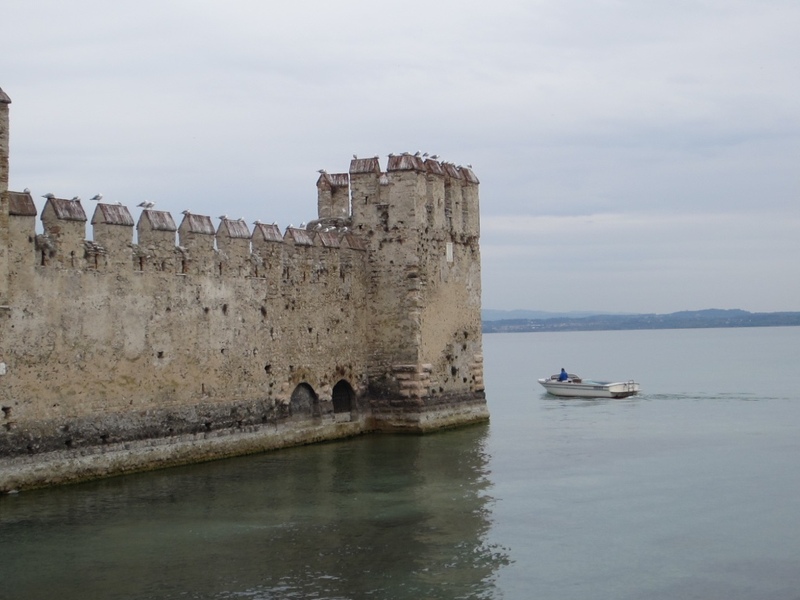 We had planned to stop at some of the villages on the east shore, but it is all so motorhome UNFRIENDLY here. All the carparks have height barriers or big signs saying Feck Off – motorhomes cannot park here. As it was, the towns seemed to be crawling with people and we were both dirty (having transferred Chardonnay’s grime to ourselves) and tired. We needed to shower, so we identified a campsite just at the bottom of the lake. All the campsites were not designed with motorhomes (of any size) in mind and all those we had passed had really tight entrances. Fortunately our campsite choice did not have a tight entrance … but very tight turns in the camping pitches. We must have been tired as we nearly had one of those … oops we’ve got Chardonnay stuck / another hole in her side moments … until a kindly Dutchman came to help and spotted one side, with J on the other as we negotiated the spare inch in which to turn. 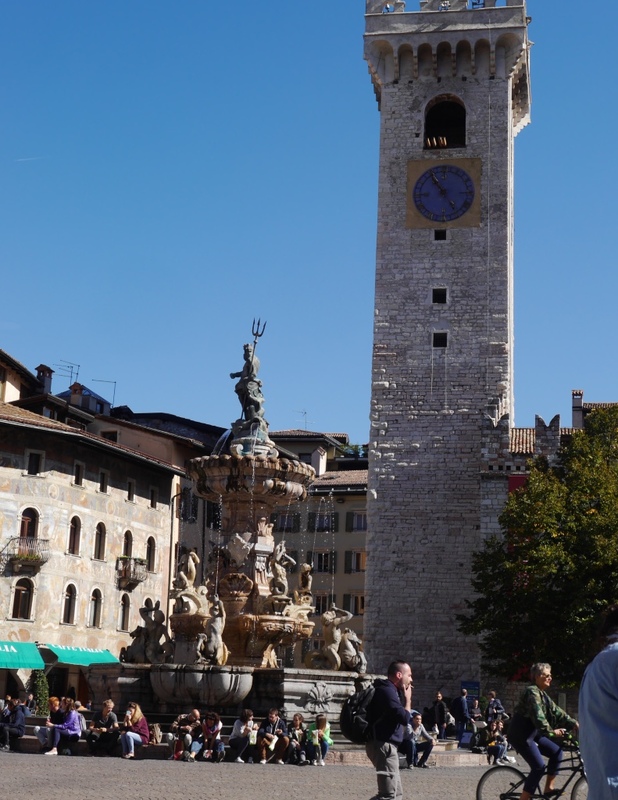 It is J’s first time to the Italian Lakes and I was disappointed for him. I remember pretty villages and sumptuous villas with motor launch pads from my childhood visits. I checked with the Aged P’s … they had been back to the Lakes a few years ago and also been disappointed … all too commercial and over developed. Ho hum. 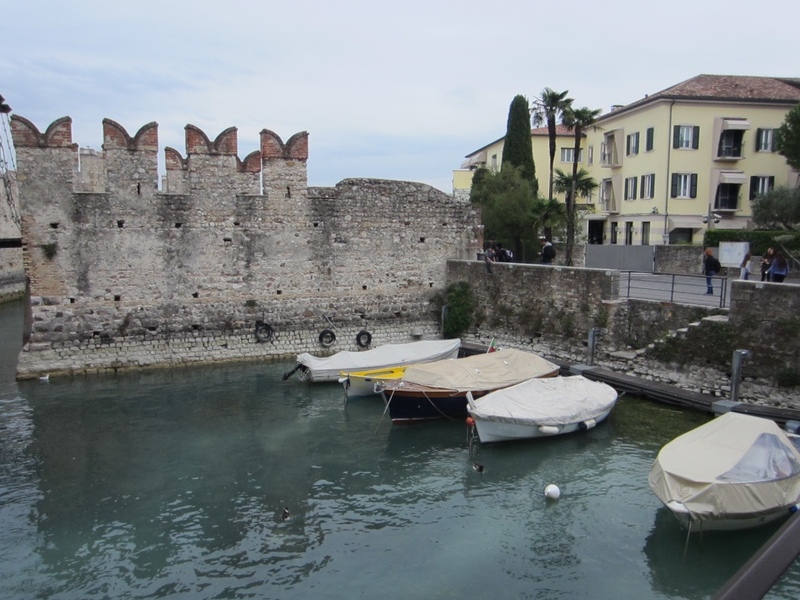 A packed lunch made and we cycled to Sirmione. It is at the end of a spit on the south side of the lake, which is not very attractive as both sides of the central road are hotel upon hotel. 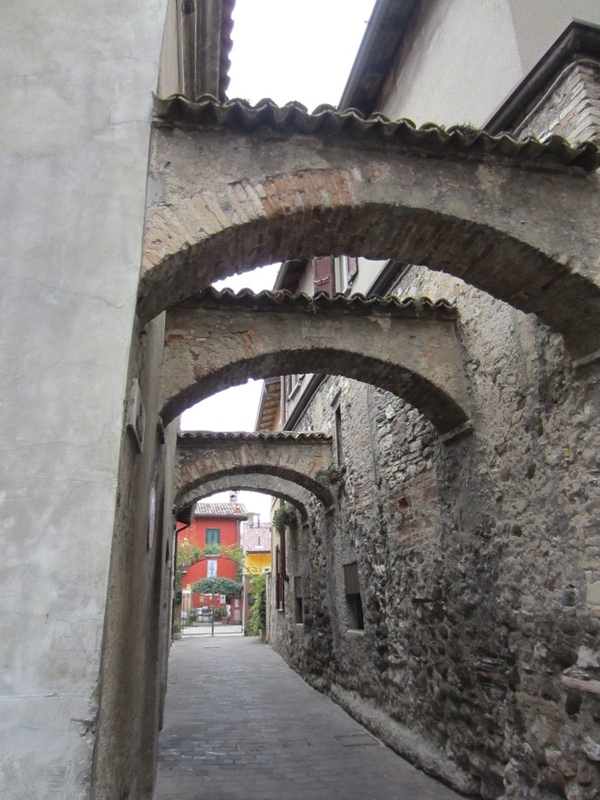 However, at the end there is a walled medieval castle with a small town: pretty winding streets and small squares. Very busy, cars, coaches and people every where. We ate our picnic sitting on boulders on the lake shore, until some swans came too close for comfort. 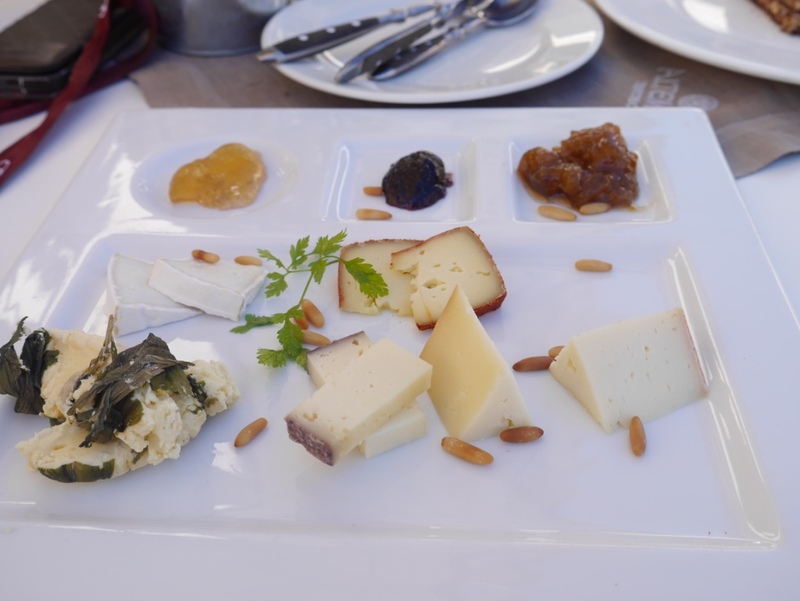 Then we decided that an ice-cream for K was in order (daily quota) and then we finished our lunch off with 3 glasses of white each. We managed NOT to wobble on the return ride. 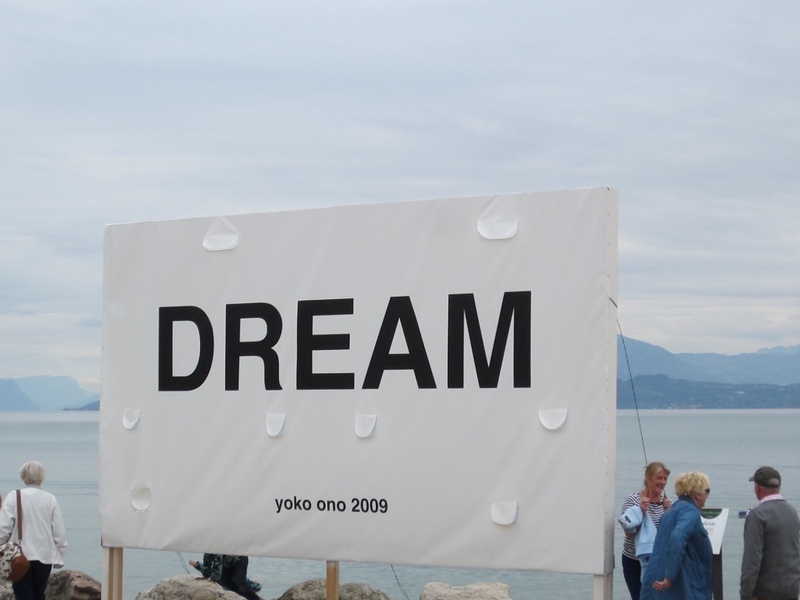 By Yoko Ono … we had one simultaneous thought … WE’RE LIVING IT! 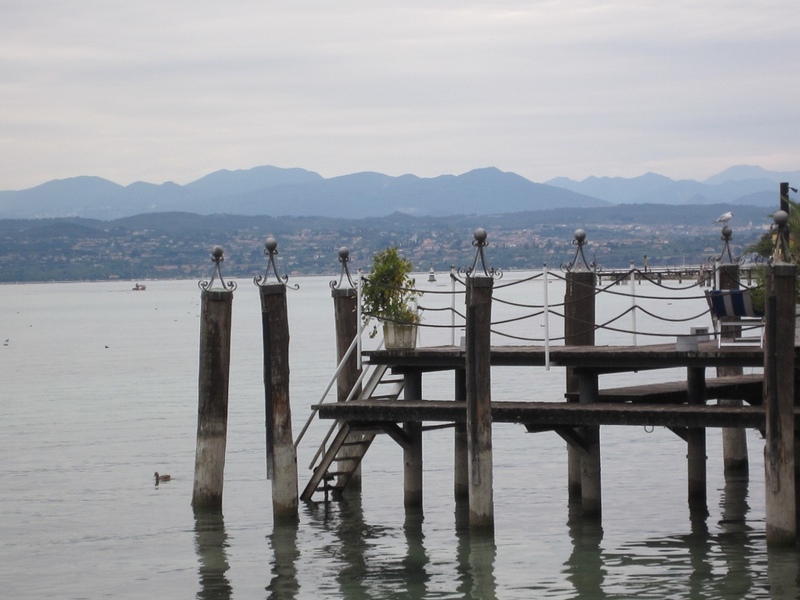 My favourite picture of the day – more akin to how I remember the lakes … a private pontoon. BBQ for supper and J packed his toothbrush ready for his trip to Dublin on the morrow. A very early start … alarm set for 6.00 am and we don’t even have to go to work. But James did have to go to the airport … His flight was unfortunately delayed 4 hours but it left eventually, so james will make his granddaughter’s Christening in Dublin on Saturday. 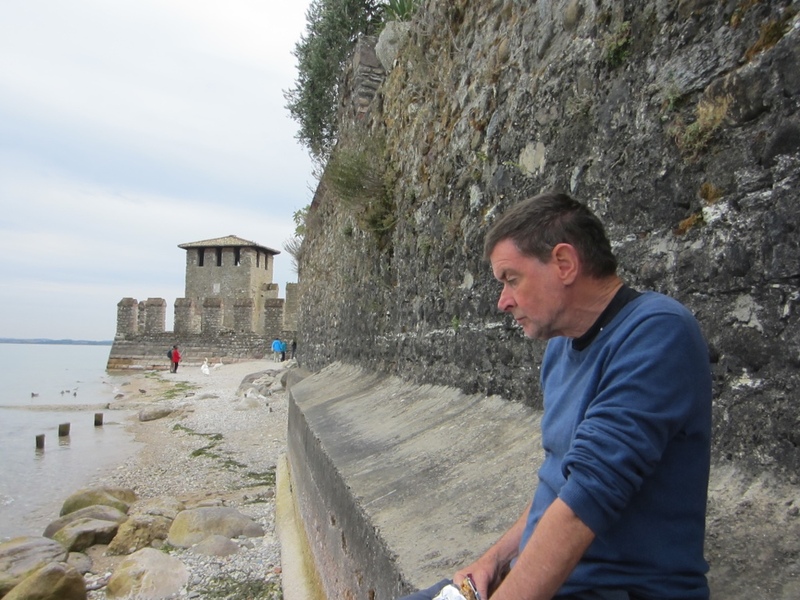 K drove non-motorway to Lago d’Iseo: on of the smaller Italian Lakes, but with the largest Europen lake island. A bit of a wait, as I was so early to get a pitch, but worth the wait. I am parked up 1 metre from the lake shore. 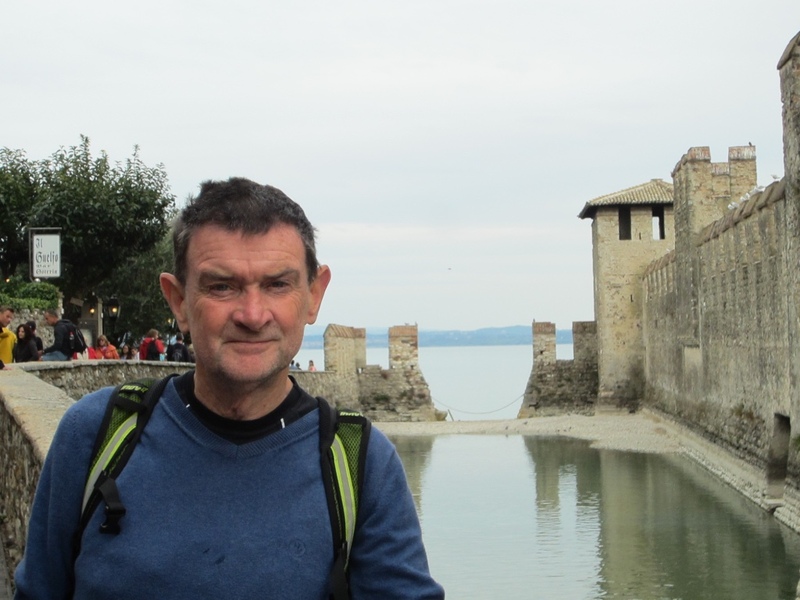 Having been told that there was a market in Iseo town, I cycled in. A massive market …. filling virtually every street, but pretty much the same old rubbish. However, I did buy some salmon. I also managed to make the TIC before it shut for it’s 3 hour lunch and pick up some bumpf on the lake and cycle routes. On perusal, some of the cycle routes are extreme and will not be attempted! PM was a massive clean … EUR3 only for a big washing machine load and then Chardonnay scrubbed within an inch of her life. Now spotless internally and externally. With the van so spick and span, K also abluted BEFORE a very well earned drink! 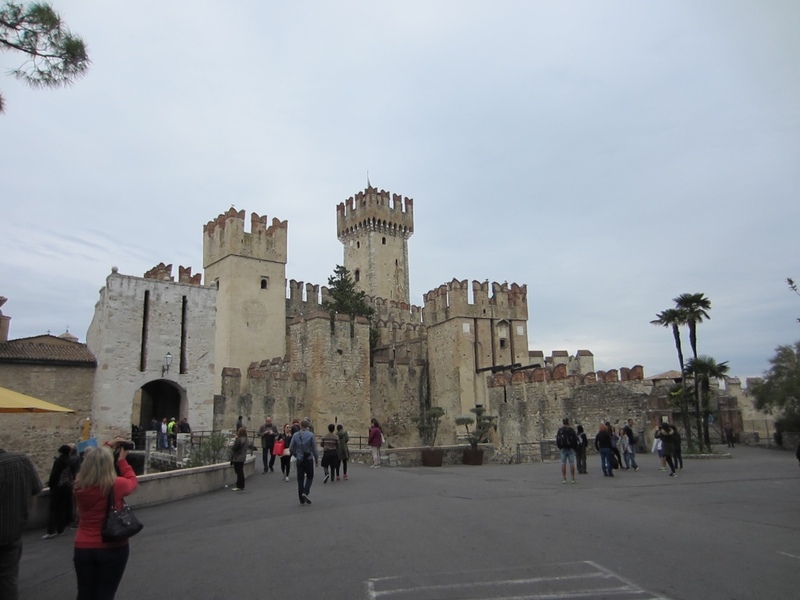 This entry was posted in Italy, Tour 2015-16, Tours and tagged 2015, fulltime motorhoming, Iseo, Italy, Lago d'Iseo, Lake Garda, motorhome, Sirmione, Trento by Clunegapyears. Bookmark the permalink. So sorry I won’t see you Katherine! I suppose I’ll see James at the Church. I’m not going to the house. I love your photos and blog! Please stay safe on your own!! !xxxxxxx love you.